On the other side of the Disney branding spectrum, we have the darker and less well known line of products called the Villain line. Unlike the Princess Line which doesn’t feature heroines based on a “royal” title this line is said to encompass all the villains but really only focuses on a few. Those being; The Evil Queen from Snow White, Maleficent from Sleeping Beauty, The Queen of Hearts from Alice in Wonderland, Cruella from 101 Dalmatian, Captain Hook from Peter Pan, Ursula from The Little Mermaid, Jafar from Aladdin and recently Mother Gothel from Tangled. Other villains like Scar, Gaston, Dr.Facilier, Hades and the Cheshire Cat filter in on products occasionally. Though I would argue that the Cheshire Cat is not villain but a Chaotic Neutral. So here is the big question, Where is Frollo? 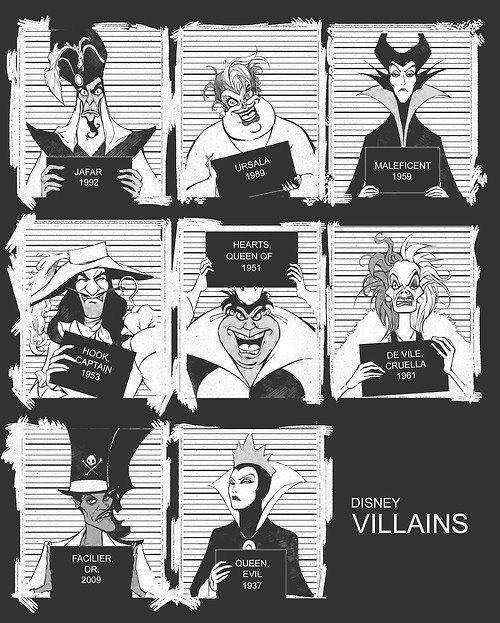 He is considered to be one of the great Disney villains because of his complexity. As far as I can tell he might be hiding in the products like in the Disney Vile Villains Playing Cards or in the Disney Legendary Villains Personal Checks , I do know he was in the Disney’s Mix and Match Villains Book , I owned it as a child. But as far as him being an advertised villain, he is not and he doesn’t have many his own featured products. But why isn’t Frollo a key villain in this line? Is it because Hunchback was super unpopular? Well that doesn’t help but it’s not like Hades was attach to a popular movie and was Pater Pan that popular that Hook gets a major spotlight? 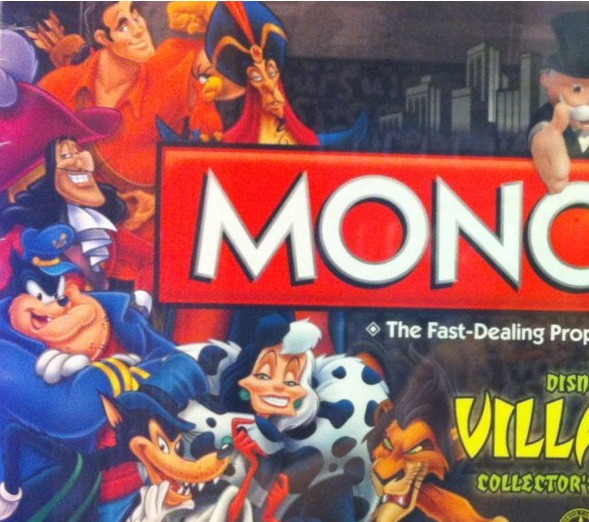 On the Disney Villain Monopoly there are three unknown Disney villains featured, Pete who was antagonist in the Micky Mouse universe, the Big Bad Wolf who was another antagonist from the older Disney shorts and Kaa from Jungle book who wasn’t even the major villain, Shere Khan holds that roles. I don’t think it so much that Frollo is from an unpopular movie, I think it’s because as a villain he is not fun. Don’t get me wrong he’s a great villain, he just never revels in his evil schemes the same way the others do, in fact he’s thinks he the good pure one. So he is not the logical choice as the one of line’s front runners who love and enjoy their machinations. And if this is indeed the case, it doesn’t really bother me that Frollo isn’t prominent, he just not the funny goofy charming villain that this line seems to love. And that’s ok.
And like the Princess line, the villains have their fair share of weird products like a Cruella stapler and yes even a Disney Villains Cupcake Kit . 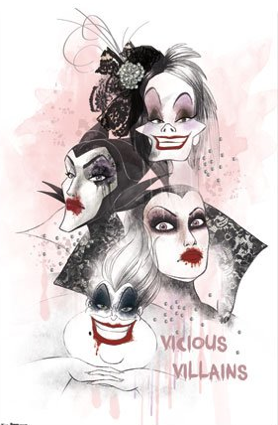 In many ways the Villain line is just like the princess line except the products are black, red and purple instead pastels and pinks and it carter to older more jaded girls who are not quite ready Hot Topic. 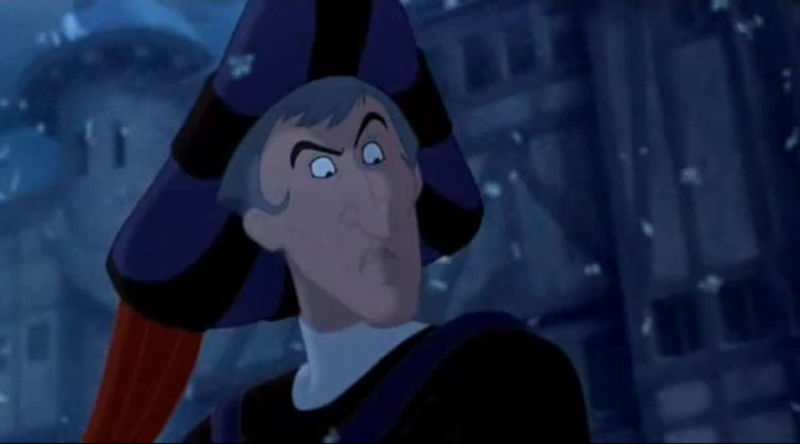 I’ve seen Frollo on rare/limited merchandise. I wish Disney would start making items specific to the villan; Little Mermaid Ursula Sushi kit, Cruella DeVille fashion design station, Malifecent sewing kit, Queen of Hearts Croquette set, Evil Queen a chemistry set where you can make candy apples, Frollo lighters/matchbooks (seriously I need to remember to put lighters on my list next time I go to Wal*Mart…I have tons of candles and my lighter ran out of flame juice). But I guess it gets too difficult to screen/test each item and find ways to market each individual character…but without lumping the “fun” villains together, you kind of see how useless some marketing strategies become…a chemistry set where you can make candy apples doesn’t work for all age groups and Disney couldn’t use any other villain on the box. Disney keeps trying to target as many age groups, gender, ethnicity…etc as possible in one item/marketing ploy as possible to make more money.